Battlefield 4 - Locked and Loaded ! On October 29th Tactical Gamer will join the rest of the gaming world for the launch of Battlefield 4. We've been going full bore behind the scenes here of late to be ready to go the moment BF4 goes live. TG will be up and running on Day 1 with a full 64 Player/2 Spectator/2 Commander UNRANKED server. Yes, I said unranked. TG wants you to have all the tools you need at hand to be able to focus on quality tactical and mature gameplay, so we're giving them to you from the start. We just want to welcome you all to come join in on the finest Battlefield 4 play that we can offer here at Tactical Gamer. Like the rest of you, Tactical Gamer players have spent countless hours in the recent Beta and have many thoughts and impressions of their experiences. I've gathered some of these here for us to reflect on as we draw close to launch hour less than 48 hours from now. Lets start off with our CM and Battlefield 4 Game Officer Wicks and see what he is thinking as we wait for BF4 to drop. The Battlefield 4 Beta has concluded and as we wait anxiously for the full release of BF4 I thought I'd share some of my thoughts and experiences along with my hopes for the future. I personally was extremely impressed whilst playing the beta, logging some 60+ hours in game. Perhaps the aspect that struck me most profoundly, despite being a somewhat subtle element of how the game played, was the pacing. Gone was the somewhat full throttle, frenetic, everything turned up to 11 all the time, breakneck speed. This was replaced with a much more natural rhythm of battle. There were moments of brief calm amongst the chaos and a sense that you could clear an area or flag, regroup, sketch a quick plan and then execute. 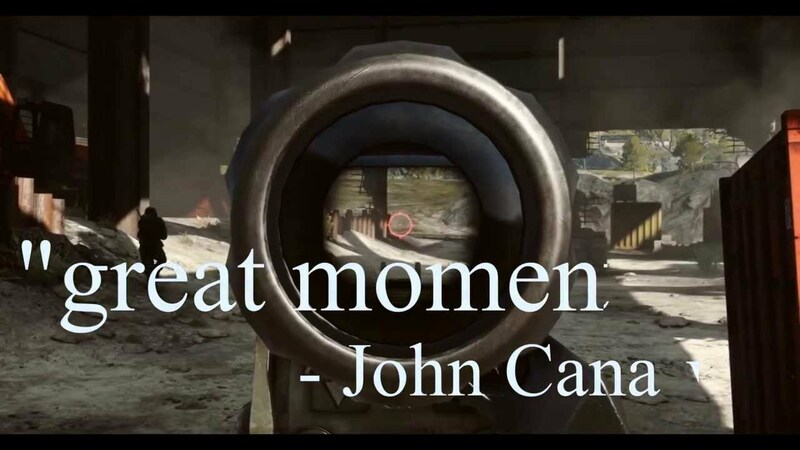 Of course there were periods of 'only in Battlefield moments', however the brief periods of calm only served to make these kinetic moments all the more impressive. As regards the combat itself, simply put it felt 'better', less spammy. Weapons had more punch and the damage model felt very logical. This all translated very well into their handling, feel and audio. The classes felt distinct and co-dependent in a way that BF3 failed to achieve, yet within those classes there was a potential flexibility that could be achieved through a combination of loadout and playstyle. This created the option of myriad sub-classes that could accommodate numerous tactical situations and individual playstyles whilst still feeding into the overarching teamwork dynamic. Teamwork seemed to have been very much in the forefront of DICE's mind throughout the design of many elements of the game, from the class dynamics to the intricacies of the individual equipment. A lot of thought appears to be have been devoted to the classic 'rock, paper, scissors' element of Battlefield titles of yesteryear and how a true BF game needs and deserves that complex mechanic to really shine. The return of real in-game voip and the Commander role only serves to underline the re-emphasis of teamwork and BF authenticity to the series. From a TG perspective it became clear that BF4 was a title that could have a lot of mileage in our Community with our focus on communication, teamwork and realworld tactics and strategy. It was great to see so many familiar faces, old friends and new acquaintances, squadding up and having fun the TG way. I cannot wait for BF4 to launch so I can take my first steps on the Tactical Gamer server and get down to business. From my viewpoint, the priority of balance problems of Battlefield 3 have been fixed. User feedback has been incorporated in a multitude of ways such as in game VOIP, (post-beta) re-inclusion of commander, user interface changes on virtually every screen and menu in the game, rebalanced vehicles, larger conquest flag capture zones, defibrillator tweaks to limit medic trains, five man squads, and even more in the pipeline that we haven't seen yet! I know VOIP was the main concern for most persons on the fence. VOIP works. It was working perfectly from the very first minutes of the beta. I'm anticipating a good TG community for Battlefield 4, and expect that the game will have good lifespan here. The BF4 Beta channel tree in Teamspeak almost constantly had players in it. I've had numerous good rounds over the course of the beta with new and old TG'rs. When beta went public on the 4th most of my IHS, the 56th, logged on and despite some performance issues we had an immense amount of fun playing a Battlefield game together for the first time in just short of a year. I think that the old-meets-new flavor of this game is going to appeal to a lot of Battlefield veterans who were disappointed by Bad Company 2 and Battlefield 3. In total I sank 54 hours into beta, plus a 4am wakeup to be one of the first in on October 1st. I expect to sink many more in on the full version. I dare say that BF4 is shaping up to be everything I liked about BF3 and BC2 but this time with many of the core features of the games before them. WHOA! This is what we have been waiting for. The TEAM WORK potential with change up from 4 players to 5 players is great ! Even though Commander mode not yet functional, using INGAME VOIP and Team Speak. Just like BF2142 with squad leader VOIP and Commander VOIP! I cannot wait for the full version rollout! When a gaming community like TG gets a hold of this thing... I see many of sleepless nights ahead and I better start building up the "Honey Do" list credits! See you in Game Soldier! Infantry is more effective against armor: I was just amazed at how effective our squad was at keeping vehicles at bay. We were on top of C, with a recon, an engineer, and a support. Air vehicles had no chance at all when they got within 300 meters. However, when infantry came up, they wiped us out. I really liked how they balanced that out. The assault class is not as overpowered as it used to be: The revive window is shorter than in previous BF titles. Also, the revived party is at 20% health. This takes away from the overpowered assault medic. Airburst rockets were given to support. This is another move that will ensure that we do not see squads with 5 medics that 2142 was famous for. A recon lasing, the engineer firing at the enemy, and the support resupplying are the hallmarks of BF teamwork. Throw in a few assault medics to handle infantry and you have an effective, well rounded squad. Carbines and DMR are available to all classes, giving them an effective way of engaging enemies at distances that were not feasible in BF3. The battle tanks' main weapon is not very effective against infantry. Additional accuracy of the main gun is worse than it was in BF3. The result is that battle tanks are not the infantry killing machines they were in BF3. That is pretty much how I started my first day playing the Beta for Battlefield 4, it only got better after that. The feeling that morning playing with fellow TGer's was a subdued excitement that slowly grew the longer we played. It wasn't because we were playing a new game together, it was a New Battlefield! This is what we had been hoping for 2 years ago, I had been playing with pretty much the same group then as well. Battlefield 4 isn't vastly different because of any one big thing, it is all the little changes that have been made that create a new/old feeling. The map is as good of place to start as any. Siege of Shanghai actually felt like you were fighting over a portion of a city, there were buildings to enter, elevators to access roof tops, little rooms to hide in while the enemy ran by. There is enough space for the armor to roll out and manuver (or as much as armor can in a city), the Helo's played out well and felt like they were useful, at times extremely necessary. It all added up to a 'Wow, they got it right!' feeling. ...I have enjoyed alot of rounds in last few years with everyone here at TG, the 2 weeks of BF4 beta were probably some of the Best. [email protected] is going to be amazing....the teamwork...the battles...the laughs The 29th of October can't get here soon enough! I don't think I would have believed how much a difference five-man squads and actual working in-game VOIP would have made. I think I enjoyed these hours in the Beta as much or more than all of the hours spent in BF3 combined. Being able to give info to your SL, receive orders, and call out contacts without fumbling with my keyboard led to more immersion and more fun. Although I also enjoy playing in the front, I get the most fun from Defending a back flag. Defense was something that seemed very difficult in BF3, in the BF4 beta is was very doable. Pick a flag, paint you name on the flag pole and get comfy. FBMantis has a nice video capturing some of our gameplay during the Beta. In "Battle for B Flag" you'll see some examples of our tactics, teamwork and and squad cohesiveness as Emale's and Namebot's squads go toe to toe. Tactical Gamer's Battlefield 4 forums are located here, our server rules here, and our server information is in the banner below. We look forward to seeing you all on the battlefield ! This tells me.. I REALLY need to get an updated gaming rig, and get back into playing!! Get am airsoft gas gun and you will sweat!